Essentially, cell culture involves the distribution of cells in an artificial environment (in vitro) which is composed of the necessary nutrients, ideal temperature, gases, pH and humidity to allow the cells to grow and proliferate. In vivo - When the study involves living biological entities within the organism. In vitro - When the study is conducted using biological entities (cells, tissue etc) that has been isolated from their natural biological environment. E.g. tissue or cells isolated from the liver or kidney. Whereas pieces of tissue can be put in the appropriate culture to produce cells that can then be used for culture (explant culture), cells from tissues (soft tissue) can be obtained through enzymatic reactions. Here, such enzymes as trypsin and proname are used to break down the tissue and release the desired cells. When cells have been obtained directly from the organism/animal tissue (or even plant tissue) through enzymatic or mechanical techniques, such cells are referred to as primary cells. However, cells that continue to proliferate indefinitely (after the first subculture) under special conditions are referred to as cell lines. These particular cells tend to have been passaged for a long period of time, which causes them to acquire homogenous (similar) genotypic and phenotypical traits. Fibroblastic - This includes cells that tend to be bipolar/multipolar with elongated shapes. These cells are attached to the substrate as they grow. Epithelial - Epithelial like cells attain a polygonal shape with regular dimensions. Although they tend to grow in discrete patches, these cells also grow attached to the substrate. Lymphoblast - These cells are usually spherical in shape and do not attach to the surface of the substrate. As a result, they are grown in suspension. Cell culture is an important technique in both cellular and molecular biology given that it provides the best platform for studying the normal physiology and biochemistry of cells. A cell is the basic structural, functional and biological unit of all living things. In order to understand an organism or given tissues, it is important to understand how its cells work. Through cell culture, this becomes possible especially due to the fact the primary cells resemble the parental cells from the organism/tissue. Therefore, whatever is learnt about the cells in vitro is representative of what is happening to the organism/tissue. This makes cell culture significantly important for vaccine development, screening (drugs etc) and diagnosis of given diseases/conditions. Given that different types of cells require different environments for proliferation, there are different types of media used for culture such as serum-free media and serum containing media among others. Once the right requirements have been provided, the cells will increase in numbers and may form colonies, which can then be easily seen and identified. However, all this requires that the purpose of the procedure be understood. Having a good understanding of what the procedure is meant to achieve, it becomes easier to prepare the culture with the right components. For instance, by understanding what the procedure is aimed for, the researcher will know whether to prepare a selective media (which allow for specific cells to grow) or differential media (allowing for different types of cells to grow). Here, we shall focus on primary cell culture. Adherent cells - Also referred to as anchorage dependent cells, these are the type of cells that require attachment for growth. Adherent cells are immobile, and obtained from such organs as kidney. Suspension cells - These are the type of cells that do not require attachment in order to grow. They are therefore also referred to as anchorage independent cells, and include such cells as lymphocytes found in the blood system. 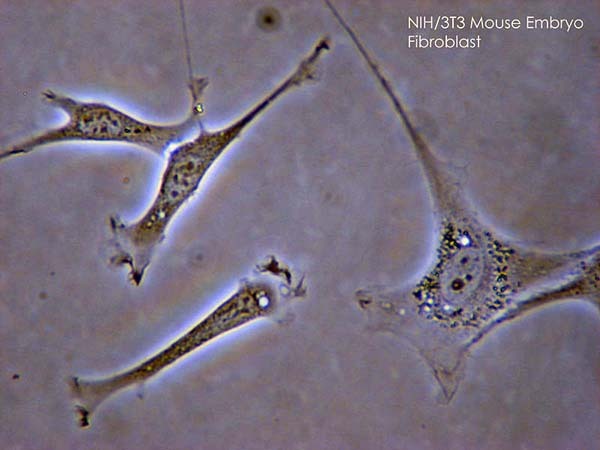 In primary cell culture, cells obtained from such parental tissues (living tissues) as the liver and kidney, are introduced into suitable media for growth. Once the cells have been obtained, they can either be cultured as explants culture, suspension or monolayer. * In primary cell culture, the cells must have been obtained from the parental/living tissue. That is, they are not from another culture process. Before the cells are cultured, they are first subjected to enzymatic treatment for dissociation. However, has to be for a minimal amount of time to avoid damaging or killing the cells. Once single cells are obtained, they are then appropriately cultured in media to allow them to grow (divide) are reach the desired numbers. Initially, the culture tends to be heterogeneous in that it is composed of different types of cells obtained from the tissue. Although this can be maintained through the in vitro process (in a culture in a suitable media) this would only be for a limited period of time. However, through the transformation process, the primary cells may be used for a long period of time, changing the culture over time. These cells are refers to as continuous cell lines. However, primary cells are typically preferred over continuous cell lines because of the fact that they are more similar (physiologically) to in vivo cells (cells from the living tissue). In addition, continuous cell lines may undergo certain changes (phenotypic and genotypic changes) which would result in discrepancies during analysis. As such, they cannot be used to determine what is happening to the in vivo cells. It is for this reason that primary cells are preferred. Given that the primary cells significantly resemble the cells obtained from living tissue, they are important for research purposes in that they can be used to study their functions, metabolic regulations, cell physiology, development, defects and conditions affecting the tissue of interest. In addition, they are used for such purposes as vaccine production, genetic engineering drug screening as well as toxicity testing and prenatal diagnosis among others. 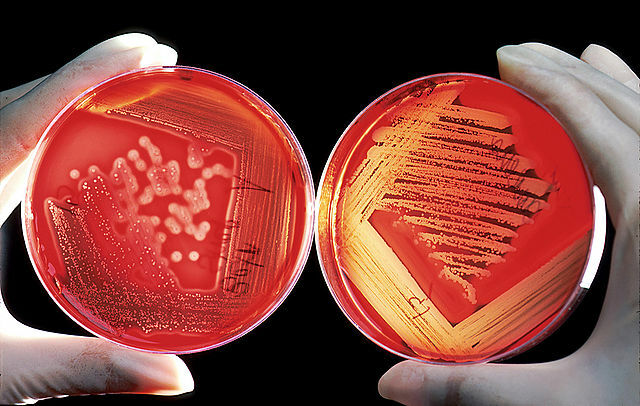 Blood agar plates are often used to diagnose infection. On the right is a positive Streptococcus culture; on the left is a positive Staphylococcus culture. By Bill Branson – (Edited by Fir0002)(Edited by [User:Drhx]) - This image was released by the National Cancer Institute. Natural media - Natural culture media is composed of biological fluids that are naturally occurring. Although this type of media can be used for a range of cells, its biggest disadvantage is that it may lack the exact components required by given cells, which can greatly affect reproducibility. Selective media- This is a special type of media that only allows for certain cells to grow. For instance, blood agar (used to isolate Streptococcus & Moraxella species) can be turned in to a selective media by adding antibiotics. Differential media- This type of media allows for different types of cells/microorganisms to grow depending on their metabolism. Serum containing media - In these types of media, serum (fetal bovine serum) is used as a carrier for nutrients and growth factors among others that tend to be water insoluble. Serum-free media - These types of media is typically produced for the purposes of supporting single cell type of culture. As such, it provides specified nutrients and other factors required by the cell type. In this media, serum is absent because it present some disadvantages and can result in misinterpretation of immunological results. Chemically defined media - Like the name suggests, this type of media is composed of contamination- free pure organic and inorganic ingredients. Constituents of this type of media are typically produced through genetic engineering in bacteria/yeast. Protein-free media - Protein- free media are typically lacking of any type of protein. It is largely used to promote superior growth of the cells as well as protein expression in addition to facilitating for the purification of any expressed product. Cell culture media are used for the proliferation of cells, which can then be identified and studied. As such, it can be used for various purposes including for education, diagnosis and treatment of a disease among others. In culture methods, cell suspension refers to a type of culture where cells are suspended in a liquid medium. To obtain single cells, a friable callus (small tissue that falls apart easily) is put in agitated liquid medium (agitation allows for gaseous exchange unlike solid medium), breaking it up. This allows for single cells to be released, which are then transferred to another fresh medium. Cell suspension cultures have a big advantage over the stationary ones given that it allows for the cells to be uniformly bathed. Moreover, given that the medium tends to be agitated, it allows for aeration of the medium, providing gases to the cells. Given that the medium is a suspension, it also becomes easy to manipulate the contents of the culture. *80 percent confluence refers to the state where 80 percent of the culture surface is covered with the growing cells. 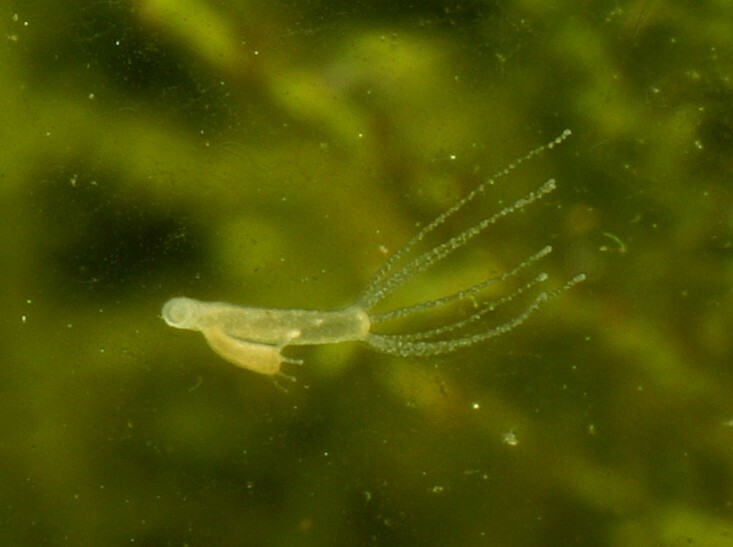 In some cases, the cells in suspension may adhere on to the plastic surface of the culture flask or even form clumps. In such cases, a pipette can be used to pick these cells and expel them on to the surface of the flask and therefore away from the plastic surface. This helps obtain single cells given that they are no adhere on to the plastic surface. (left: without hemolysis) red blood cell suspension (0.5% sheep RBCs in saline), seems red and opaque. (middle: without hemolysis) RBCs sedimented spontaneously for 60 min. Note that the supernatant is not colored. 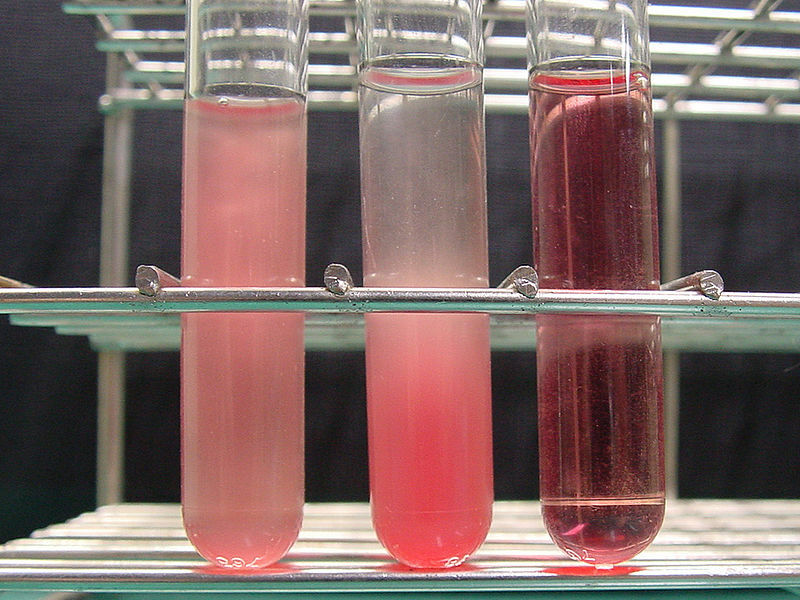 (right: hemolysis) RBC suspension treated with the hemolysin of S. pyogenes at 37C for 30 min, become transparent by hemolysis. Counting the number of cells in a suspension is a process that involves the use of a stain. For instance, when trypan blue is used, it penetrates the cell membrane of the dead cells, but not the living cells. The cells are then gently expelled into a haemocytometer (contains the counting chamber) under the cover slip and observed under a microscope. Cells are then counted within a given number of squares for calculations. This method is largely preferred due to the fact that it allows for cells to be suspended in a solution rather than being held in a solid media. Here, therefore, it becomes easier to manipulate the contents thereby preventing them from forming clusters. With cell suspensions, it is also easier to observe single cells under the microscope. Cell culture protocols are meant to ensure that culture procedures are carried out to the required standards. This is not only meant to prevent the contamination of the cells, but to also ensure that the researchers themselves are protected from any form of contamination. Moreover, the nature of the work is expected to conform to the appropriate ethical guidelines. Therefore, before anything else, it is essential to ensure that the entire procedure conforms with both medical-ethical and animal- experiment guidelines. This is because going against such legislation and guidelines can result in heavy penalties and even shutting down of the laboratory. Always use a new pair of gloves. If a pair of gloves has to be used for another cell culture procedure, they should be sanitized using 70 percent ethanol and allowed to air dry. Although there are a wide range of culture media for cells, it is important to keep in mind that cell cultures, and particularly primary cell cultures are easily prone to contamination in addition to the risk of containing undetected viruses. For this reason, all material should be handled as potentially infectious in order to avoid any infections. Monitor the culture every 30- 48 hours and check for confluency (when cells completely cover the surface of the culture) - However, this is largely dependent on the type of cells. Once the procedure is completed and the cells have been analyzed, the culture should be appropriately discarded. Here, it is important to take a lot of caution given that by this time, cells have already proliferated and increased in numbers. Moreover, there are high chances that the specimen has been contaminated, which increase the risks of causing infections to the researcher if not handled appropriately. For such items as scalpels, glass slides and cover slips among others, de- contamination may involve autoclaving at 121 degrees Celsius and 15 psi (pressure) for at least 30 minutes. However, if they are to be discarded, it is important that they are put into a plastic bag and into the appropriate container to be incinerated later. With liquid waste, chemical disinfection is one of the best methods through which the waste product can be deactivated. Such chemicals as bleach can be used for this purpose before pouring the liquid down the sink drain. For solid waste products, they are collected into a plastic bag for incineration. On the other hand, they can first be autoclaved before being incinerated. In general, cell culture, whether it involves using a suspension or a stationary media, involves the growth of cells in an artificial environment with favorable conditions. Whereas enzymatic action can be used to obtain cells for culture, it is the mechanical disaggregation method that is most preferred given that it provides a simpler and less traumatic way of obtaining cells. This method simply involves the slicing of a tissue into smaller pieces from which the spill out cells is then collected. On the other hand, primary explants technique can be used to obtain the cells. However, this method is mostly useful for the disaggregation of smaller quantities of tissue. While any cells can be used in cultures to observe their behavior, embryonic tissues are preferred (for primary cells) as compared to adult cells because they provide cells that are more viable and can rapidly proliferate. Along the same lines, take a look at types and techniques of tissue culture. Check out MicroscopeMaster's picks for Microscope Accessories. 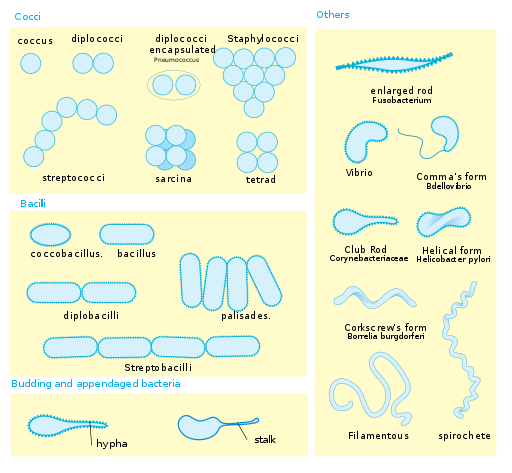 As well as information on cell division, cell differentiation and cell staining and gain some insight into cell theory. 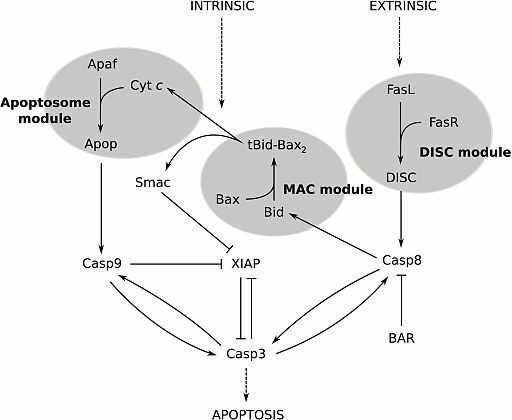 For the more advanced and a great read is Molecular Biology of the Cell. As well as learning about Cytochemistry. Perhaps you are a student, teacher or hobbyist and want to follow MicroscopeMaster's information on fun microscope experiments.